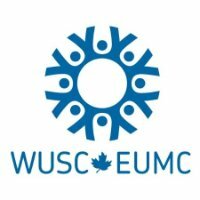 World University Service of Canada (WUSC) is a leading Canadian non-profit organization in international development, committed to building a more equitable and sustainable world. We work with a unique and powerful network of post-secondary institutions, private-sector partners and volunteers to provide education, employment and empowerment opportunities that improve the lives of millions of disadvantaged youth around the world. DEFT Advisory and Research is one of the few research-based advisory firms in India that has a deep focus and competency with regard to public policy and development sectors.WUSC is collaborating with DEFT on an African Development Bank - AfDB (“the Bank”) funded consultancy project for conducting Situational analysis (Labour Market Survey) in Tanzania. The Specialists will conduct a countrywide analysis to identify the skills needed in the labour market and/or emerging occupations in Tanzania. The findings will be used to develop occupational/qualification standards which in turn can be used to either review the existing curricula or develop new curricula. To assess and physical resources needed for effective teaching and learning. The deliverable under this assignment is the acceptable labour market Situational Analysis Report which explains the needs of current labour market to facilitate development or review of curricula. The reports include: Inception Report, Review workshop undertakings, Draft SA report and Final SA report. Minimum of 5 years of experience - preferably but not exclusively in educational studies; and a comprehensive and in-depth expertise in educational assessment and/or curriculum development. Interested candidates should contact: pdu@wusc.ca. Please indicate “Tanzania Labor Market Survey - Technical Education Specialist” in the subject line. Please include a cover letter, CV and fill out the FORM 1 in this file link (https://drive.google.com/drive/u/0/my-drive). Please provide ALL documents in Microsoft Word format.